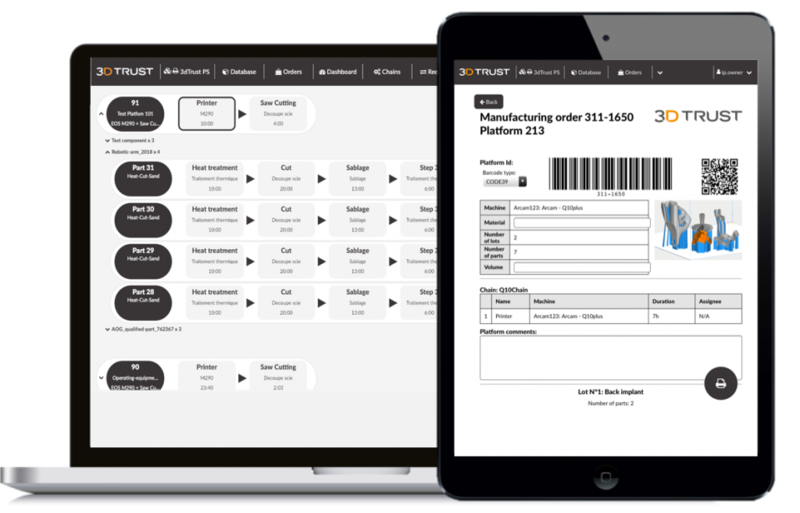 3dTrust software gives you the right tools to automate your factory to maximize profitability and increase traceability. 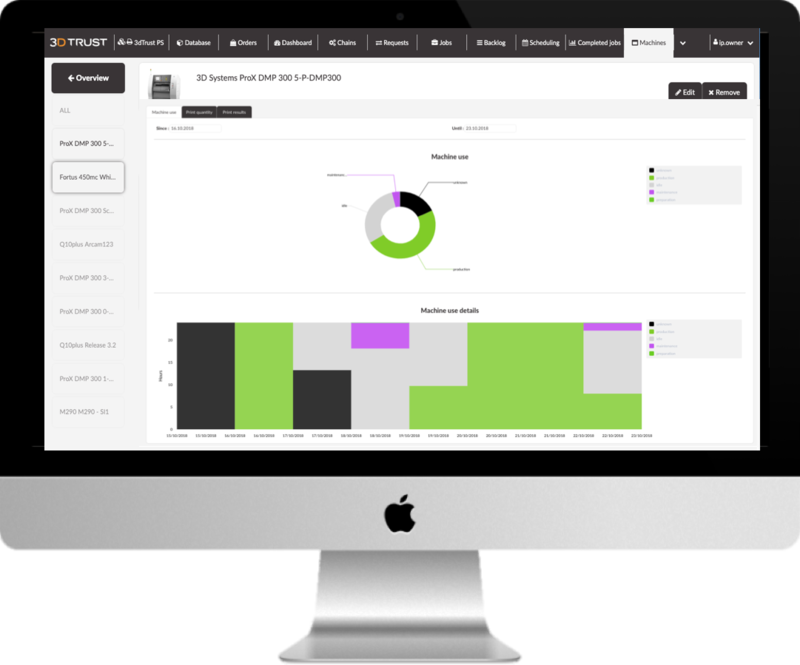 From ordering to the last post treatment step, our software will help you all along your AM journey. 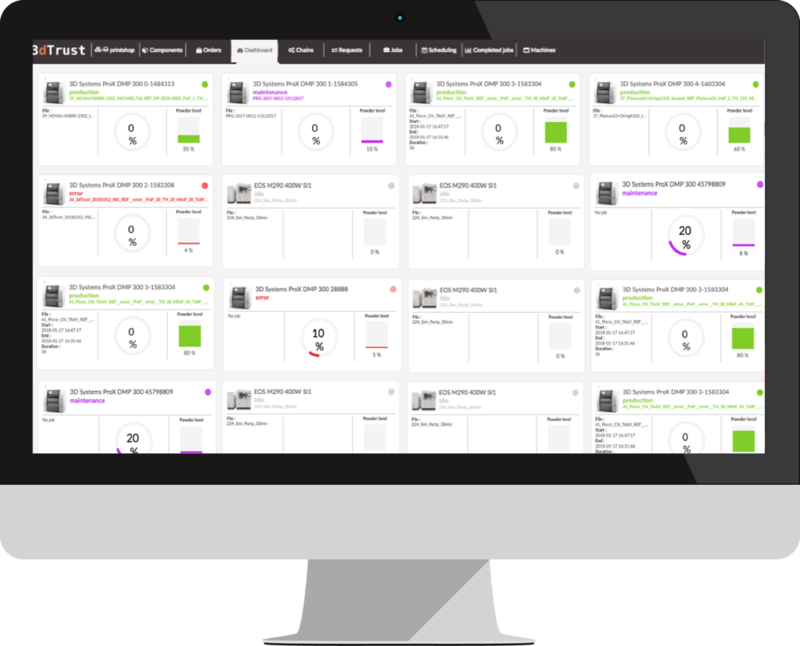 Our software manages & monitors production on the main industrial printer brands. Always remain connected to your machines with real-time notifications. Don’t lose a minute of production. 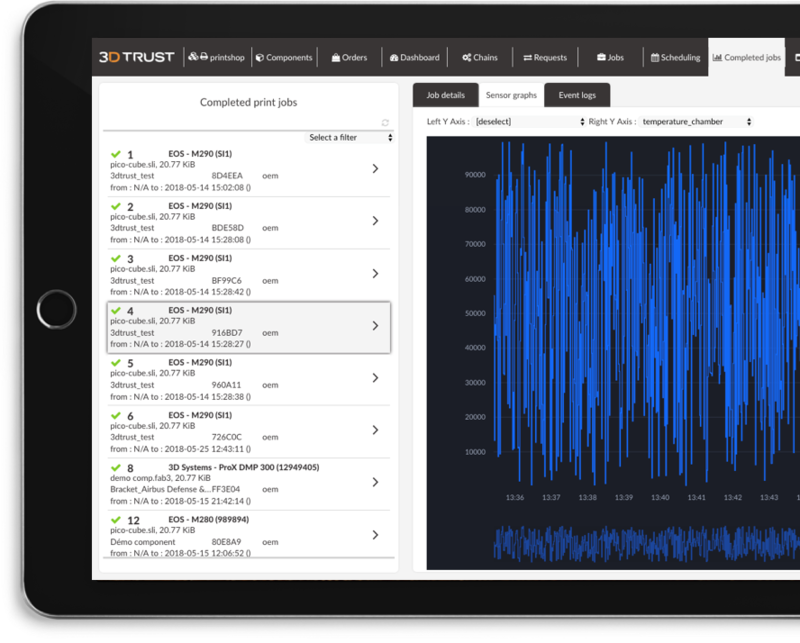 Our software collects and analyses sensors data during production to anticipate print failures and improve performances. Data is stored for traceability and can be exported if needed to meet EASA or FDA regulations. Algorithm planning the printing and the post-treatment steps. 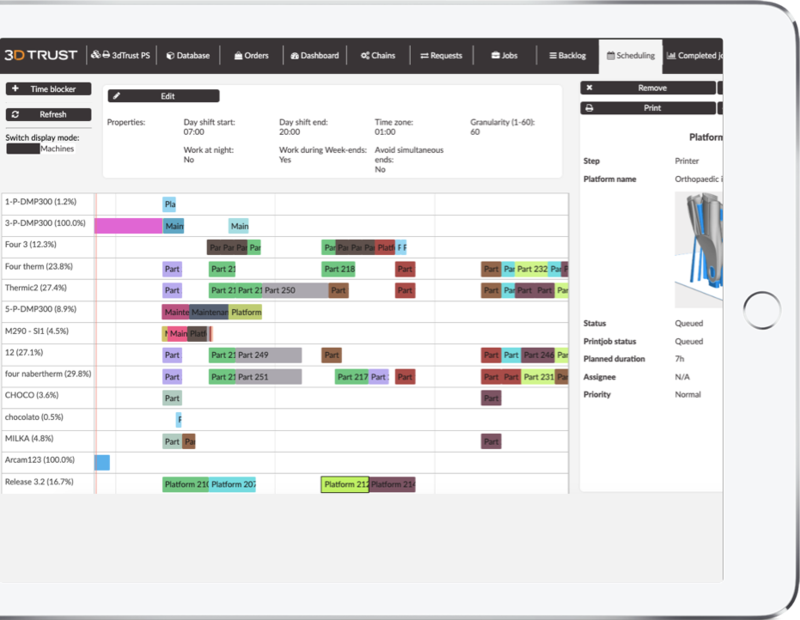 Save time with automatic planning and maximize productivity of the shopfloor.